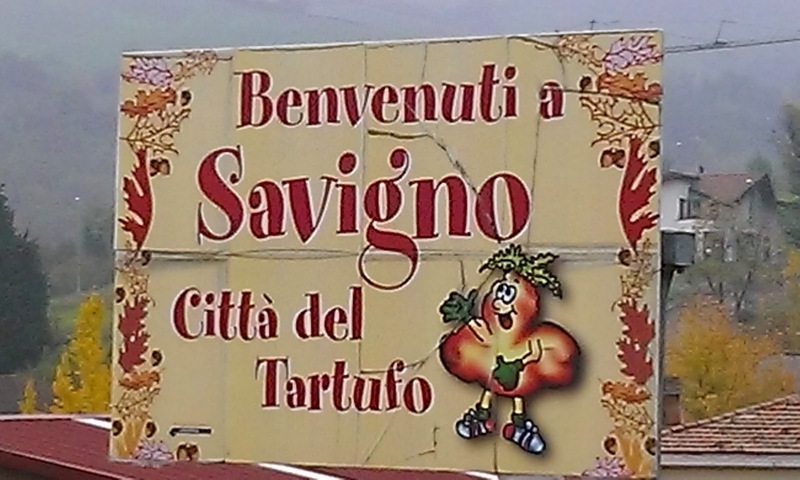 The Sagra del Tartufo in Savigno, just outside of Bologna, is one of my favorite events throughout the year. 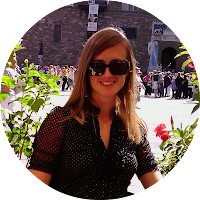 I have been going every year since I first came to Italy and I plan to go every year for the foreseeable future. Why do I love it so much? The first reason is the setting. Savigno is a picturesque, small village nestled in the foothills of the Apennine Mountains. It is teeny tiny. There is one main street that runs through the town, two restaurants, three bars, two butchers, and a small grocery store. That is it. The town has been made famous by the precious white truffles that grow in the hills surrounding the town but most of the year it is a quiet, sleepy little town. 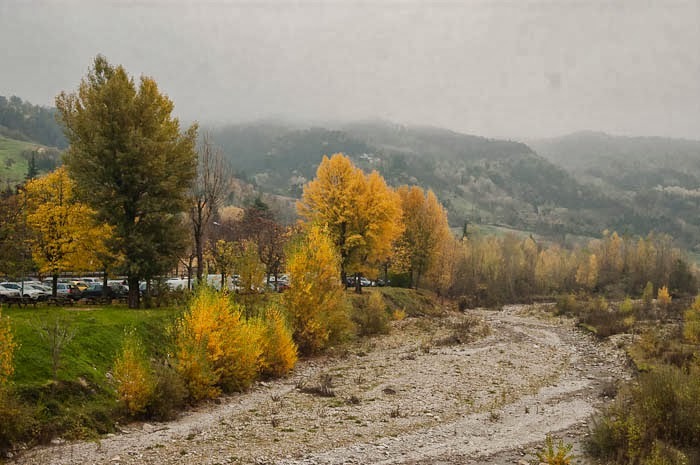 It is only during the first three Sundays in November that the town comes to life and organizes a lively and very popular festival dedicated to the white truffle. The festival also serves, for me, as a marker of time. It signifies that fall has made its arrival and begun to truly settle in around us. During the festival, the weather is always chilly (I found myself pulling on my puffy jacket and thick, warm scarf for the first time today) and the fall colors are truly breathtaking (there were grapevines that were so red and trees so yellow that it was hard to believe they were real – they were captivating and I thought to myself more than once this afternoon that I would like to lie down below one of the trees and look up and let myself get lost in the brilliant colors). 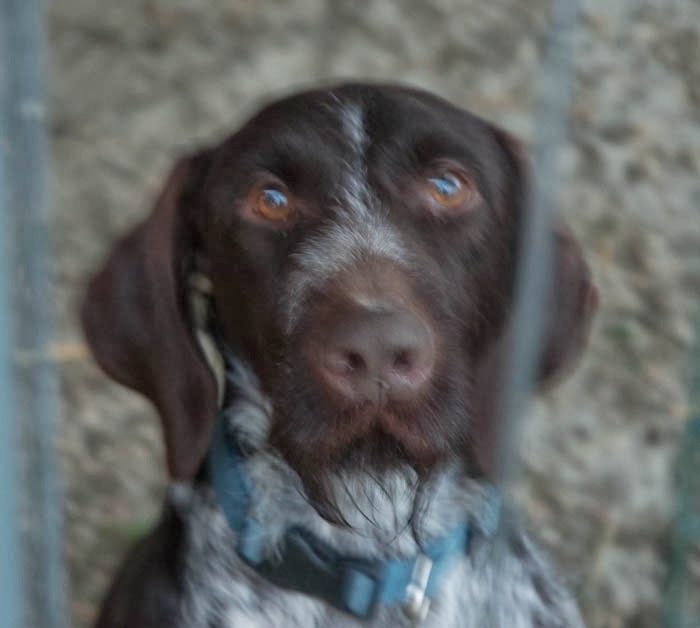 Of course, the number one reason why I love this festival so much is because of the star of the show, the truffle! One of the many vendors selling white and black truffles. 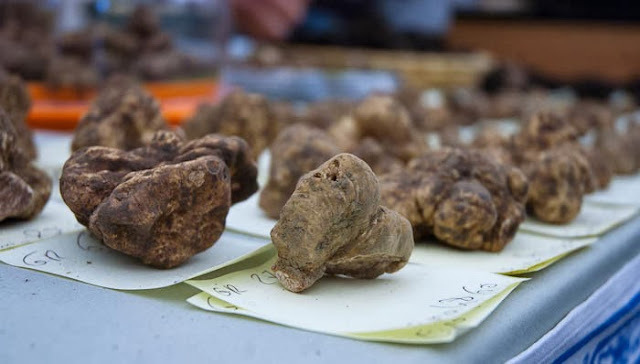 Growing up in the States, truffles were something of a myth. You heard people talk about them but it was rare that you ever got to see one or better yet, try one. Here, in Italy, truffles are still expensive but they are much more accessible than in the States. I never get tired of admiring them and I always find myself wondering how anyone ever figured out that these tubers, that look like clumps of dirt, are so very delicious to eat. At the festival there were many whole, fresh truffles available to purchase. There are two different kinds of truffles: the white truffle which is considered to be the most precious and the black truffle. Check out the price difference between the black truffle and the white truffle. 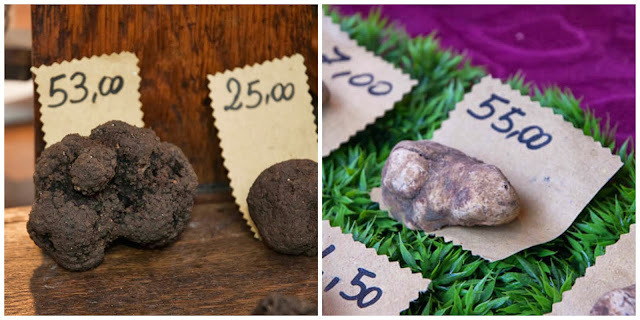 Both of the truffles pictured cost about 55 euros but look how much more black truffle you would get compared to the white. 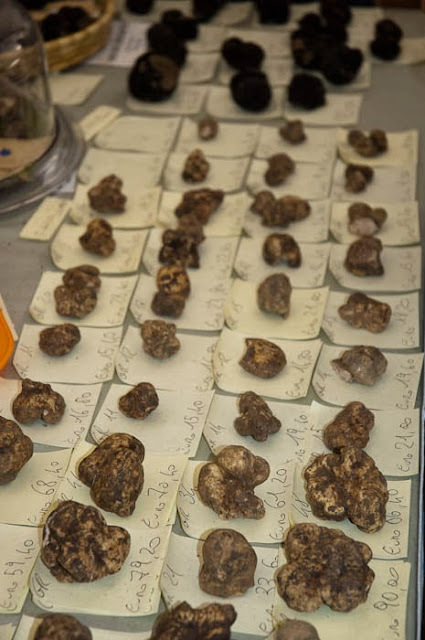 These were the most expensive white truffles we saw at the festival. They were 250 euros per etto (1 etto = 100 grams). 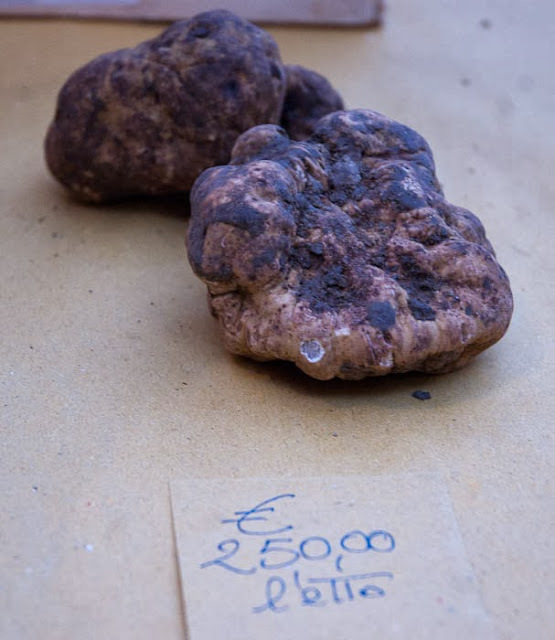 The white truffle in the front weighed 180 grams which means it cost 450 euro (that's 607 USD). If that's a little too rich for your blood, there are also many other truffle products that were available for a smaller price tag. Some of the biggest tortelloni I have ever seen! They were stuffed with ricotta and black truffles. There was truffle oil, butter, salt, honey, salami, pasta, sausages (I just finished one for dinner and it was delicious! ), cheese, rice, polenta, and one of my favorites – truffle eggs. 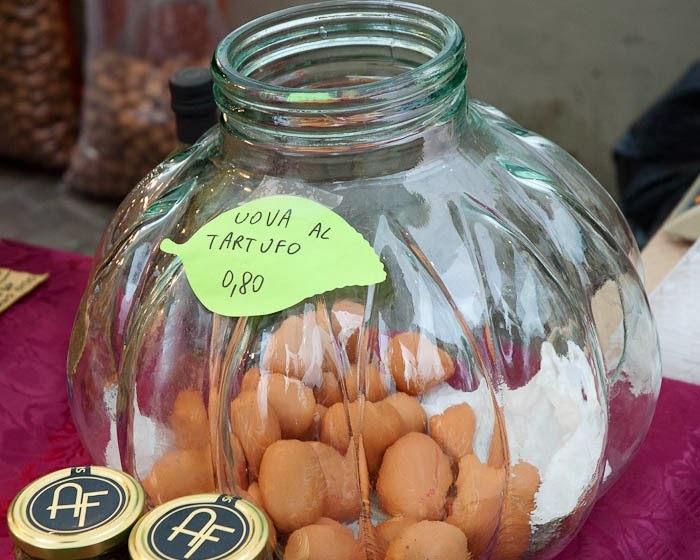 Truffle eggs are raw chicken eggs that have been sealed in a glass container with the black truffle (which is the more aromatic of truffles) for a few days. The perfume and flavor of the truffle permeates the egg and therefore, when you cook the egg, you get the flavor of truffle! Of course we had to do our fair share of eating today. 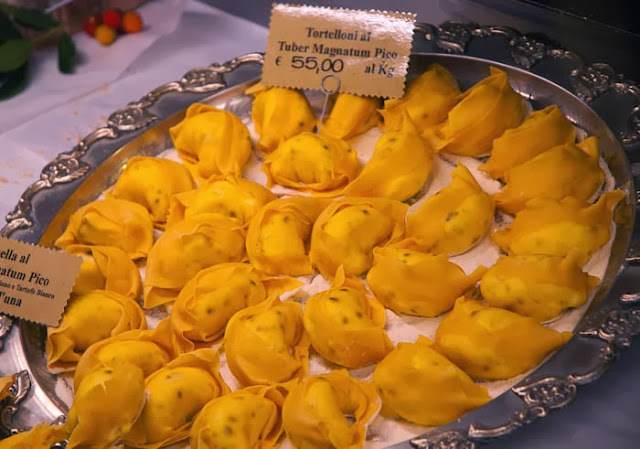 There are a couple different options when it comes to eating at the Truffle festival; you can eat at one of the restaurants in town which all offer special truffle tasting menus during the festival or you can eat at the gastronomic stands that line the street and the pop up restaurant in the middle of the town's piazza. We chose the latter option as it gave us a chance to really embrace the spirit of the festival and to sample dishes from the different stands. The first thing we tried was from the restaurant Amerigo which was started in 1934 and has become quite famous especially for its truffle dishes. This was the first year that I can remember the restaurant having a booth set up outside of the restaurant (in the past the only option was to make a reservation months in advance in order to be able to eat lunch at the restaurant during the festival) and so I knew I had to try whatever they were offering - and my, oh my, was it a unique dish! I know it looks like a modern art painting but I guarantee you it is food. 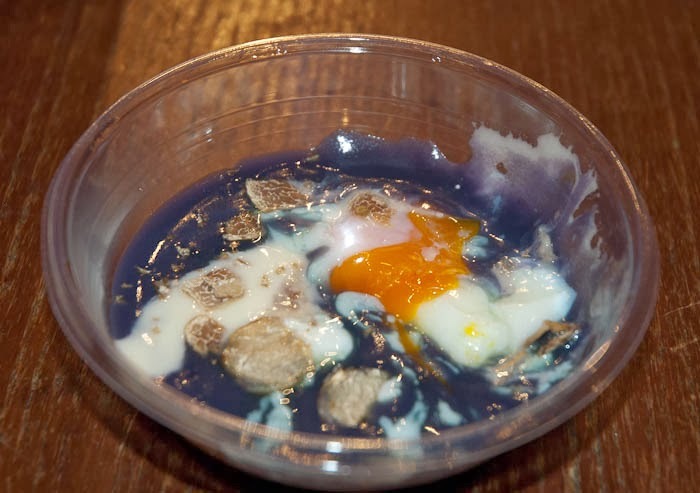 It is a purple potato puree with a poached egg, parmigiano sauce, and white truffle shaved on top. I have to admit I think it was more visually pleasing than tasty. All of the flavors were fairly mild and the truffle did not come through as much as we had hoped. It was fun to try though and it made me curious about the other dishes they might be dreaming up at Amerigo. It is definitely on my list to go there for lunch or dinner in the future. Next, we proceeded to the pop up restaurant in the main piazza to have lunch. 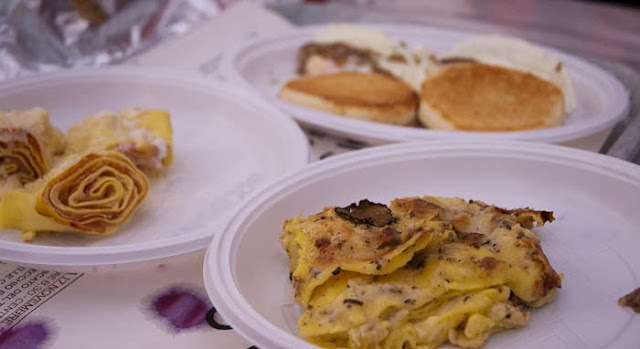 We had lasagna with black truffles, rosette with prosciutto cotto, and eggs with black truffle shaved on top and tigelle (a typical bread from the hillside area outside of Bologna). It was good, hearty, rustic food and was the perfect accompaniment to a cool fall afternoon.